2017 is shaping up to be a phenomenal year for music. Last Friday Eisley released their new album, and as I shared on Twitter it is my favorite LP since Wolf Alice released their debut in the summer of 2015. Then out of nowhere my Tiny Engines label subscription sent me the new Wild Pink album, a band I had never even heard and I haven't been able to turn it off for a couple days. Today Cayetana released a new song from their new May album, and Spoon released their second single off their upcoming album. 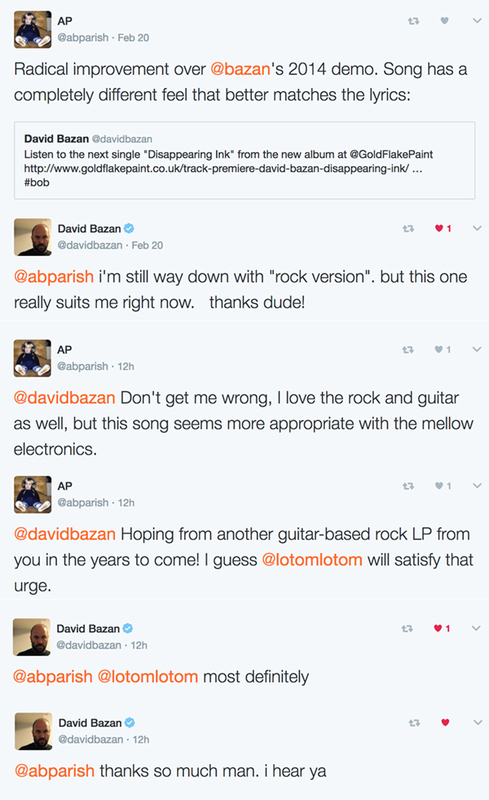 Speedy Ortiz released their first new song in awhile, and then I had an interesting Twitter conversation with David Bazan about a new/old song of his.